germ@namur: "We need to talk about Kevin"
For most people, psychopathology is a quite mysterious medical term. What does it exactly mean? Is it the result of early life experiences or is it caused by something in our genetic system? The most widespread definition tells us that psychopathology is a mental illness or a mental distress. First of all, we have to identify people with mental disorders if we want to help them. Just having problems is not enough to classify someone as having a mental disorder. That’s the reason why mental health specialists are trained to make such judgements. Of course, madness has been a part of the human condition since the very beginning. Until recently, people with psychological problems were seen as sick. This theme is quite vague, isn’t it? 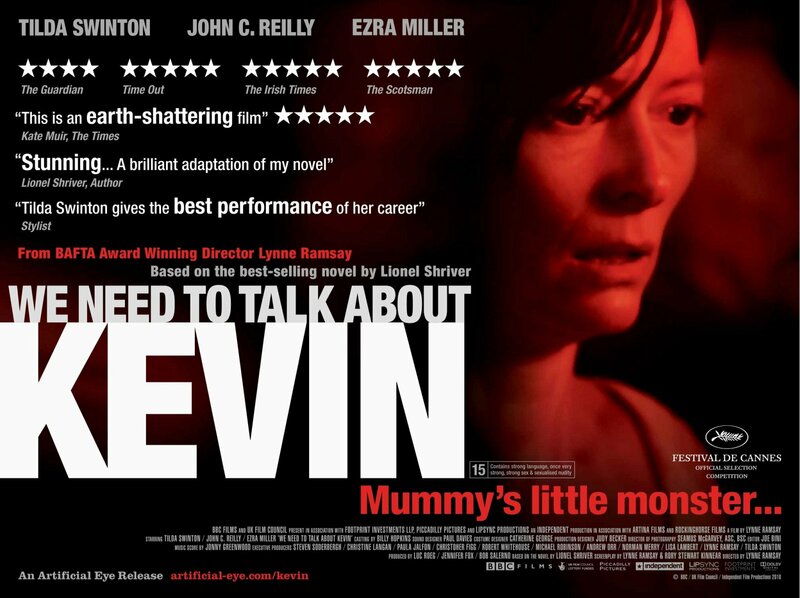 Based on an epistolary novel written by Lionel Shriver in 2003, the film “We need to talk about Kevin” sheds light on the mental illness of Kevin. From his early childhood onwards, he hasn’t been a common boy. Actually, he feels like an outsider. He hardly ever displays any affection towards his family and he distances himself from other people. On one terrible day, Kevin went to school and committed a Columbine-style massacre by means of his favourite sports instrument, a bow. He did content himself with killing pupils but he also massacred his father Franklin (performed by John C Reilly) and his little sweet sister Celia (Ashley Gerasimovich). Told from the perspective of the killer’s mother Eva (Tilda Swinton), the story turned out to be a horror film. She cannot walk on the streets without being shouted at insultingly; her unhealthy bungalow is often covered with red paint symbolizing the blood that her son shed. Furthermore, the idea of culpability recurs quite often in the film in different forms such as the red wine, the red paint, the colour of the alarm clock and the celebration of the so-called Tomatina (a giant tomato fight), all symbolizing blood and Kevin’s unspeakable crime. Eva was depressed and obsessed by the fact that she gave birth to horror: Why did Kevin save his mother? Was it a sign of affection or was it a way of hurting her? Has she ever loved her son? If you want to get some answers to these questions, I advise you to watch this fascinating psychological thriller. You will probably see the world in a new light.